For a limited time only, you can get $50 off of our new patient consultation and structural evaluation. This covers a comprehensive history, structural evaluation, with orthopedic and neurological testing to help determine any structural imbalances that could be creating secondary conditions in your body. We do accept different insurances and if you have coverage that is better than this special offer, we will let you know at the time after we do a complimentary check of your benefits. Just let us know if you have coverage when you call us over the phone. Just call us today at 616-458-8063 or Request An Appointment online to take advantage of this special offer. *Not applicable for federally funded programs, insurance or other restrictions may apply. Check out some of our recent awesome reviews left on Google. You could be our next success case in our office! For more reviews on Google, click here. 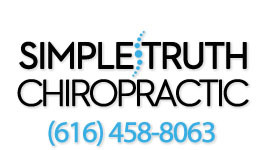 To request an appointment, click on the button below or call us at 616-458-8063. Hope to see you soon. P.S. The sooner you call, the earlier we will be able to see you and help you on your way to health and wellness.